This tutorial will provide an insight review of the customer management in Loaded Commerce. This is a useful feature, as you need a way of reviewing or editing the existing customers on your website. To access the Customers Manager, you need to first log in as administrator on your website. From the dashboard, simply click on the Customers button at the left side menu. To create a new customer account on your website, you need to access the Customer Manager. From there, simply click on the New Customer button at the top of the page. You also have the ability to edit the existing customers on your website. 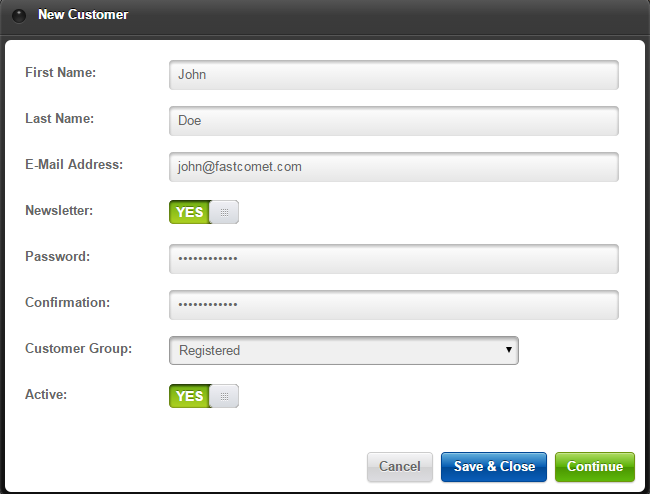 When you access the Customers manager, you will be able to see a list of all registered customers on your website. From the list, you will notice a number of icons in the action section next to each customer. Click on the Edit button next to a customer that you wish to edit. Make the changes on the new user and click on the Save & Close button to accept the change. To remove a customer from your website, you simply need to access the Customers Manager again. Select the customer that you wish to remove and then choose the Delete option below.